Shortlisted for the NCCPE Engage Awards 2016 in the STEM category. Researchers at Imperial College London used empty retail space in Hammersmith’s Kings Mall to set up The Heart and Lung Repair Shop and Heart and Lung Convenience Store in 2014 and 2015 respectively. Scientists and clinicians from the National Heart and Lung Institute (NHLI) collaborated with artists and designers to develop visually captivating spaces and interactive experiences that stimulated discussion about cardiovascular and respiratory research topics, and their social, ethical and cultural implications. Activities included visual exhibits and displays, participatory installations, demonstrations, games, workshops, talks and debates, all of which were delivered and facilitated by researchers. These pop-up shops were designed to allow scientists from the NHLI, a part of Imperial College London, to share their research and work with public in an immersive and interactive setting. In return, members of the public were encouraged to share their views on what they had seen and what they knew about how these two vital organs function. The premise of both was to show in accessible ways the complexity of both heart and lung. The Heart and Lung Repair Shop was fitted out in the style of a mechanics’ repair workshop with work benches on which participating scientists were able to conduct experiments. Members of the public were also able to operate a heart and lung machine. By contrast, the Heart and Lung Convenience Store ‘sold’ the kinds of products one might expect to find if such a store existed – for example, fresh air, oxygenated blood etc. In both locations, the experiments and items on display were used to initiate conversations with visitors and by using the concept of a pop-up shop in the heart of one of London’s busiest shopping centres, the projects were immediately accessible to thousands of people in the two-week period in which each ran. The projects aimed to use collaboration between scientists, artists and designers to bring science to the community by creating immersive and interactive public engagement in a community setting, temporarily transforming empty retail units into vibrant hubs for creative engagement with the heart and lungs. In doing this, the projects aimed to generate benefits for researchers, collaborators and audience participants, stimulating discussion about cardiovascular and respiratory research and related social, ethical and cultural issues. The intention of the project team was to share NHLI research in a creative and innovative way and build relationships with the local community in which it is based. At the same time, the team felt it was important to create opportunities for many NHLI researchers to get involved with the project. The project was a flagship NHLI engagement activity focusing on many research areas including the use of stem cells to repair cardiac damage, gene therapy for cystic fibrosis, understanding the lung microbiome and environmental impacts on heart and lung health. It was important to be able to find ways of exploring public perceptions about the scientific work and research around the heart and lung. 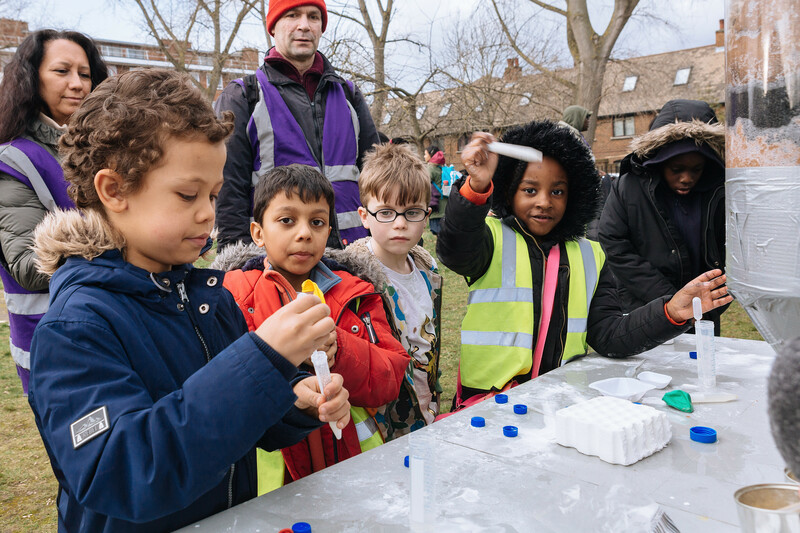 When the project first entered its planning stages, pop-up shops and ‘meanwhile spaces’ had become familiar venues for arts and community projects but had rarely been used for public engagement with science. The pop-up shop format was an inspiring way to achieve that and stimulate discussion and debate about topics such as regenerative medicine, personalised medicine, rapid diagnostics, how the air we breathe affects our health and the potential of wearable devices and apps to revolutionise future healthcare. The research team took advice from external organisations which had proven success in establishing spaces in buildings not originally designed for temporary purposes in order to ensure the project could be as successful as possible in engaging the public. A secondary online audience was reached through YouTube playlists and a collaboration with Fun Kids radio. For each shop the project team identified a key group of creative collaborators which included installation designers, graphic designers, performers, film makers etc) and also established partnerships with external organisations, including Theatre of Debate. The development of each shop had a clearly defined process. Core themes were developed by the creative producer and up to a dozen academics whilst the creative collaborators and researchers also held workshops to generate ideas. Running alongside this work was the development of individual installations, exhibitions and activities and development training for researchers around the practical issues of running the shops themselves. More than 150 researchers were involved with 4-9 researchers facilitating activities in the shops at any one time. 52 researchers developed shop demos or workshops, many of which are now available online. The members of the public with whom the project engaged took a variety of roles roles of explorers, questioners, debaters, browsers, spectators, experimenters, storytellers and game players. Each of the shops offered a range of interactive installations and exhibits as well as a daily programme of ‘shop demos’ and workshops. Highlight activities included a Lung Capacity Competition and data visualization showing the average lung capacity of London postal districts, a ‘pick and mix’ installation of bacteria found in the lung microbiome and a Heart and Lung Lottery Scratchcard showing the interplay of genetic, environmental and lifestyle risk factors. For both shops, a range of fictional products inspired by real research were developed through collaborations between scientists and a graphic designer. Examples included stem cells in a can, diagnostic tissues and DIY genome sequencing kits. All aspects of the shops were designed to stimulate conversations about NHLI research between visitors and scientists. Is the project reaching the local community? Is the project reaching an audience not already engaged with traditional science engagement? Is a pop-up shop an effective format for two-way public engagement with science? What are the impacts on the scientists involved? In order to investigate the research questions and provide data relating to the project aims, a range of methods were used. These included pre- and post-project surveys with collaborators, customer review cards, observations, vox pop interviews, postcode and demographic data from shop games and activities and visitor numbers. The first shop received 2,752 visitors and the second received 3,088 visitors. The events were successful in engaging the local community and partially successful in reaching those not usually engaged with science. The pop-up shop format was effective in creating two-way engagement and the project had many positive impacts on the scientists involved. The first shop’s ‘repair’ terminology, did cause some confusion by creating the expectation that visitors might somehow be ‘fixed’ or ‘cured’. Researchers found one challenge was the confusion with audiences around whether they could receive medical advice or treatment in the shops. The NHLI project team is working with the British Heart Foundation on a pilot project to test the feasibility of using the charity’s furniture and electrical shops as venues for pop-up research engagement in the future. Working with one London shop in particular, the project is developing a programme of events engaging the local community with heart research. Researchers believe there is scope to roll-out this model across the network of over 170 BHF furniture & electrical shops in the UK. 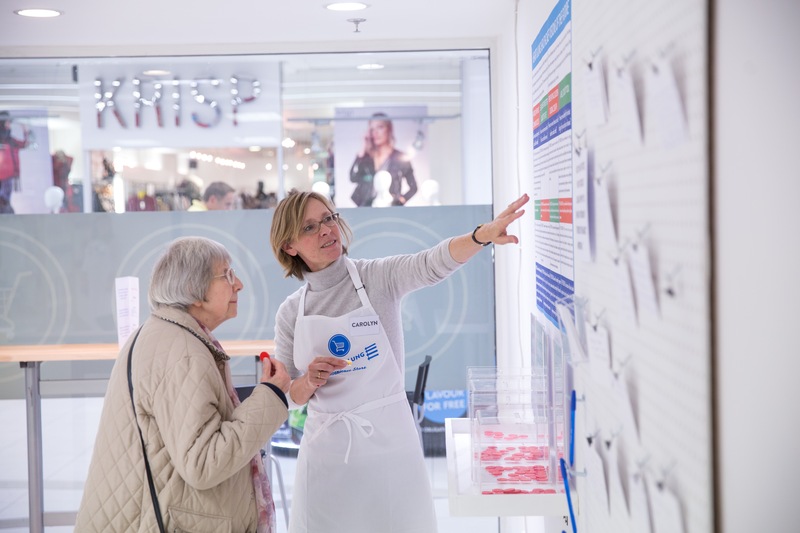 The learning from the pilot project will be used to create a toolkit supporting other cardiovascular researchers in delivering their own engagement events at British Heart Foundation shops. For further information, please visit the Repair Shop and Convenience Store website.